Disclosure: I was not financially compensated for this post. I received a free sample of their product in return for offering this giveaway and promoting their facebook site. I love mail. Real mail. The type that you get to open, smell, feel and enjoy. I am a blogger, and love e-mail and all the intangible gifts, but I am also very tactile and still get a thrill out of letters and packages just for me. Therefore, I love subscription services! Not only do I get to try great new products without having to go out and find them, but they come in the mail just for me. 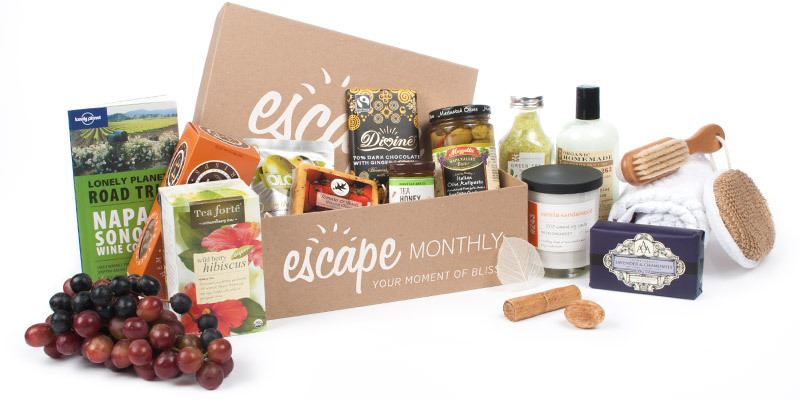 Escape Monthly offers a monthly subscription box centered around a destination. It is like going on a mini vacation right in your home. I love the idea of a box that comes with everything I need to relax and enjoy my day. I am overjoyed that I get to offer one of my most valuable readers a chance to win their own box, plus a coupon code for those that love subscriptions like I do. For 20% off for LIFE use the coupon YOURESCAPE at checkout! Then enter to win using the form below. Disclaimer: News Wahl is not responsible for delivery of product to the winner. That is the sole responsibility of Escape Monthly Subscription Service. If prize is not received for any reason there will be no compensation.